Is the acrylic machine insert included with the SewEzi Grande? Yes. 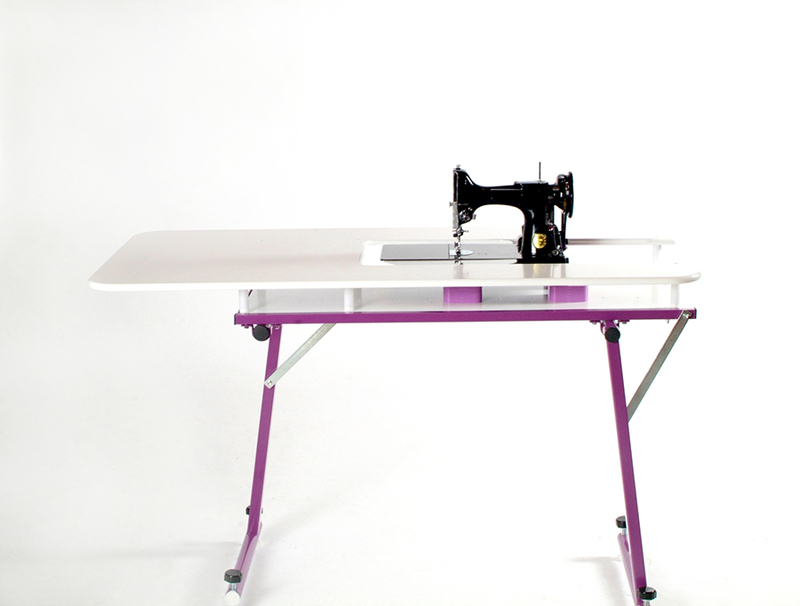 When you purchase a SewEzi Grande sewing table, one acrylic sewing machine insert is included in the purchase price. 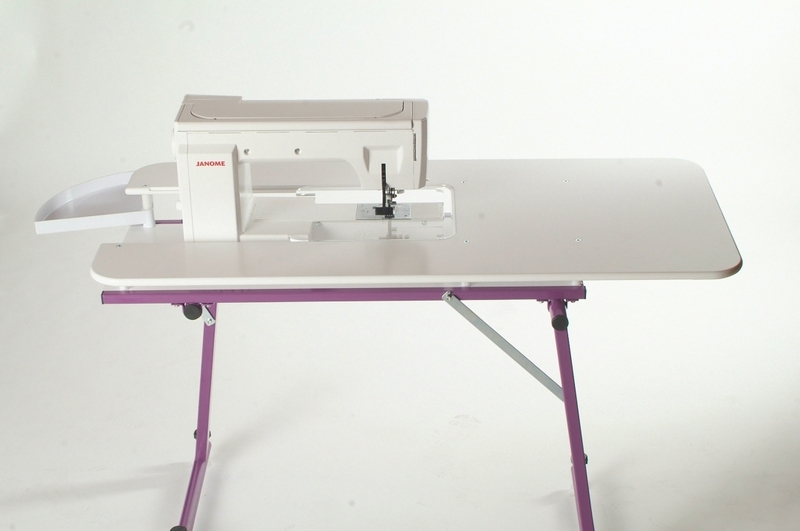 The acrylic sewing machine insert supplied relates to the sewing machine details received at time of purchase. Will my sewing machine fit into the SewEzi Grande? The SewEzi Grande Fits almost all sewing machines. There are a few very wide machines in the industry that may not fit. Please check out our Insert List page to see if your will fit. Can the SewEzi Grande be taken to classes and retreats? No. 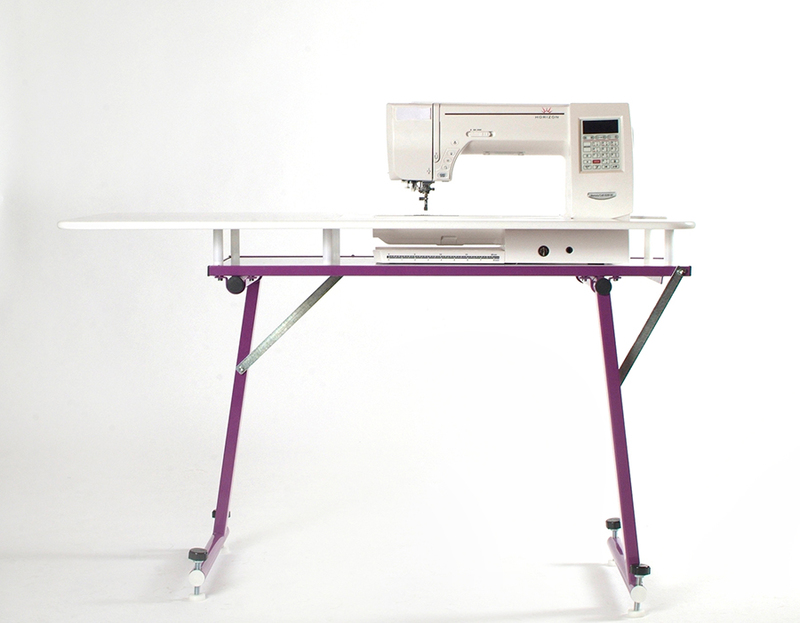 The SewEzi Grande is designed for your sewing room. The SewEzi Grande is relocatable, this means it can be easily folded for storage or relocation. We opted for a “tool required” system for the Grande because it allows for a more positive locking system and stabilisation of the legs. As the table will only be folded down occasionally, an Alan key (Hex key) is required to loosen the legs for folding. All tools are supplied at purchase. 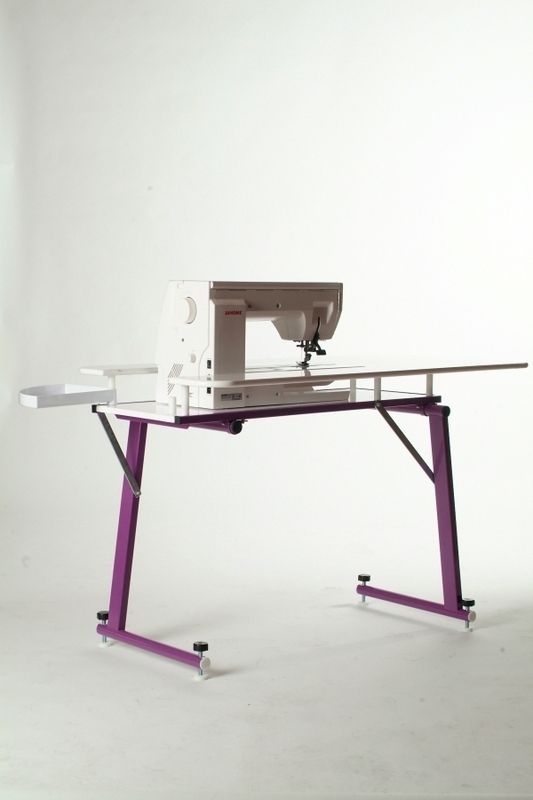 Can the SewEzi Grande be used for more than one type of sewing machine? 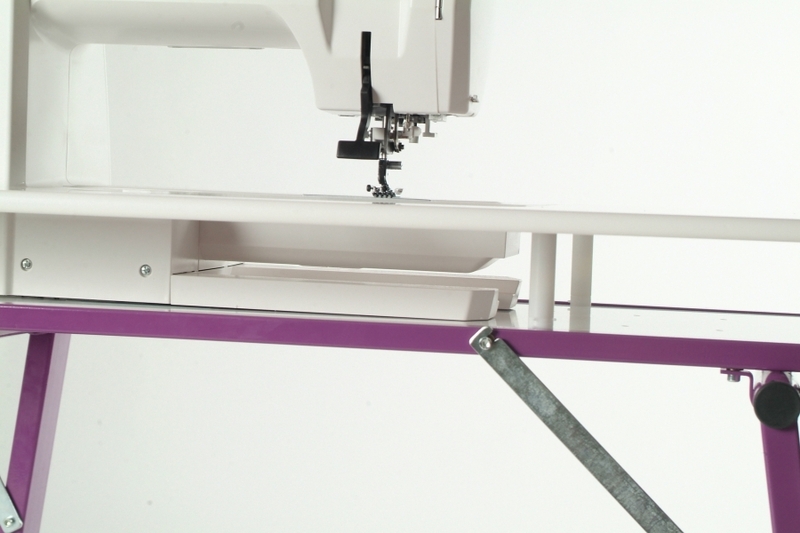 Yes, you can use SewEzi Grande with different sewing machines (not at the same time), all you need to do is purchase additional acrylic sewing machine inserts. 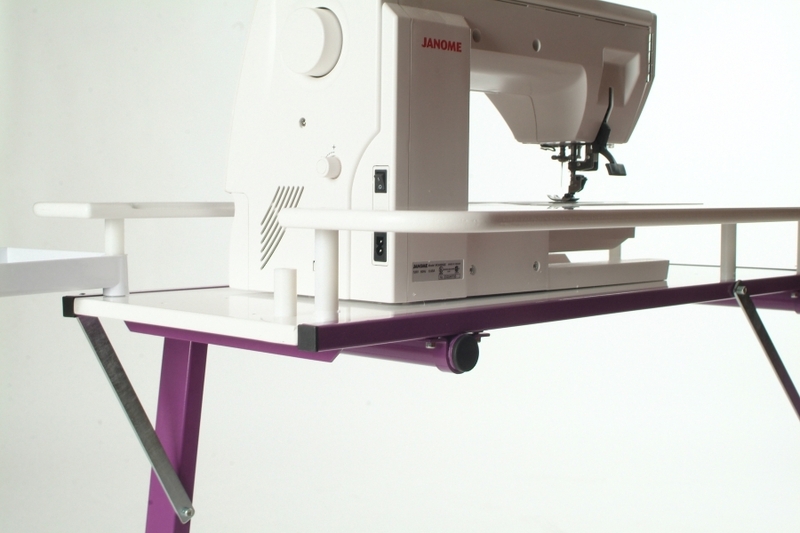 Due to the varying differences in height between sewing machines often a SewEzi Quick Change is required also, this system allows for fast and easy changes between sewing machines. What is the SewEzi Grande made of? It has a large smooth working area made from Medium Density Fiber board which is finished with a kitchen grade paint. This type of paint provides a smooth hard finish just like a kitchen cabinet. The corners and edges of the top are rounded to allow for the free movement of fabric. The Grande base has been engineered to provide the maximum strength and stability while using the minimum amount of steel to minimise weight. 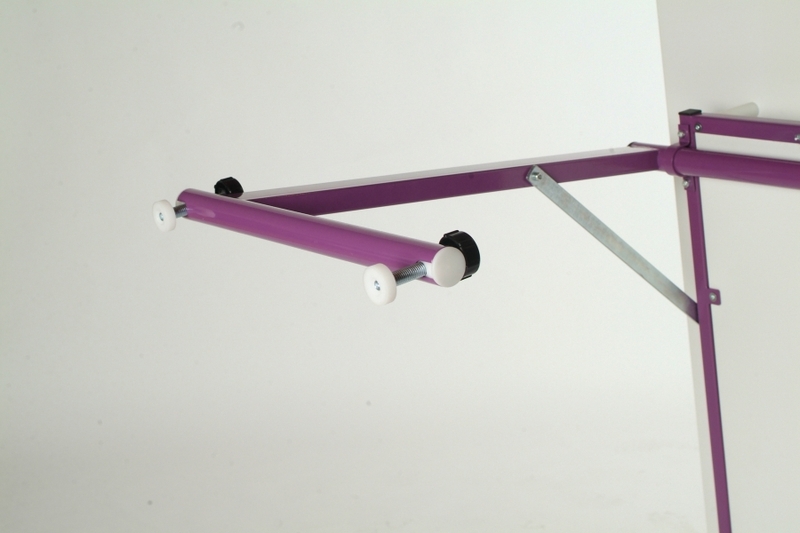 The unique opposing leg system gives strength and allows for the legs to fold flat for transport and storage. The leg system is made from furniture tube which has been powder coated and contains a UV blocker to minimise fading in high UV environments. Does the SewEzi Grande have a cover? A fabric wrap cover is provided to help protect the table during storage or relocation. What inserts are available for the SewEzi Grande? 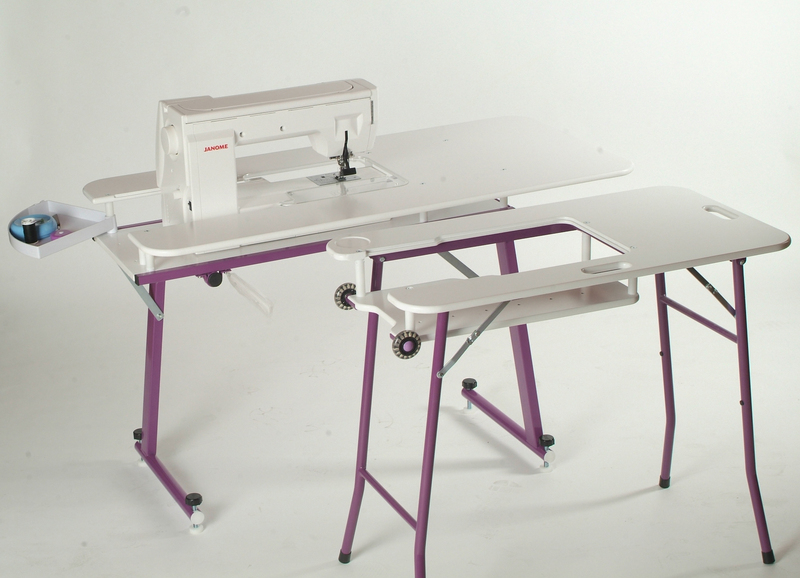 There are three types of inserts available for the SewEzi Grande sewing table. The acrylic sewing machine insert, the wooden insert (to create a solid table top) and the acrylic light box insert. These additional inserts can be purchased at any time. 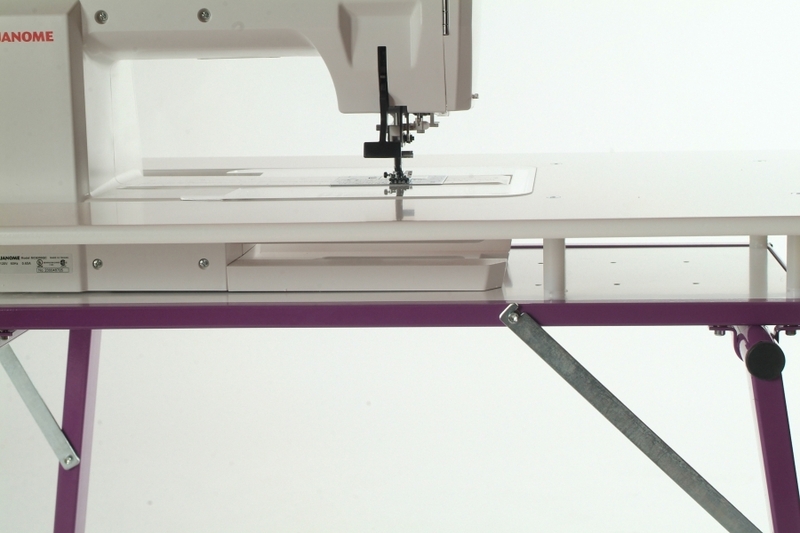 The SewEzi Grande sewing machine inserts are 17.5″ long and the sewing machine is positioned to give the maximum amount of working space to the left of the operator as well as placing the knee lift in the correct position. Will my serger/overlocker fit into the SewEzi Grande? The second method works for all serger/overlockers. You need to purchase the SewEzi wooden insert to infill the cut out in the top of the table. Once this gap is covered over your serger/overlocker sits on top. What accessories are available for the SewEzi Grande? 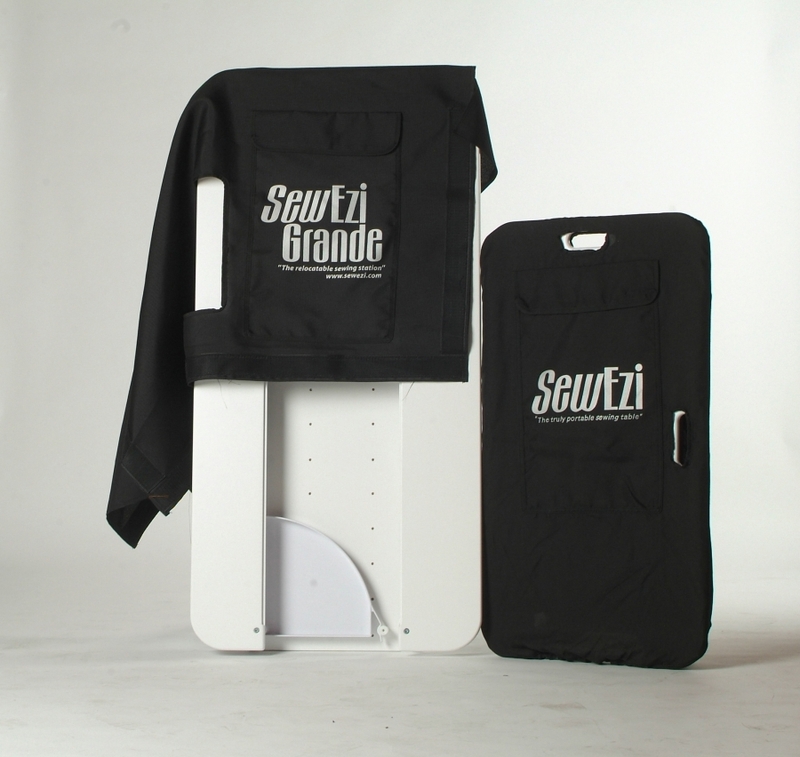 The additional accessories available for your SewEzi Grande are the thread stand and accessary tray. These can be purchased at anytime. In order to use your embroidery unit in the SewEzi Grande Table you will need to purchase the SewEzi Solid Wooden insert which allows you to set your unit on top of the table.